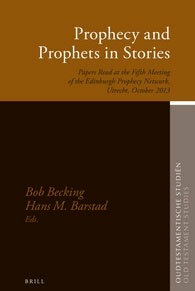 The fifth meeting of the Edinburgh prophecy network focussed on the presence of prophets and prophecy in narrative texts. The papers in this volume scrutinize the image of prophecy through the analysis of narrative processes. The papers deal with a great time span: from the Hittite Empire, via the Hebrew Bible, Judaism and Islam, up to the early Modern Period. Although all sorts of variations could be detected – especially due to the variety of temporal contexts, some features are recurring especially in view of the anthropological phenomenon of prophecy and its function in narratives.